Process refractometers provide the analysis to quickly, reliably, and very accurately identify a sample and determine it's concentration and purity levels. They measure the refractive index and temperature of flowing liquids, and apply mathematical functions to determine the concentration of dissolved solids. Process refractometers are particularly useful in the food and pharmaceutical industries where they are used to optimize production processes, control quality, and ensure consistency and purity. In commercial food applications such as juice production or tomato processing, refractometers are used to measure degrees Brix. The Brix scale relates refractive index to sugar concentration, and is a key way to maintain consistency. For example, process refractometers are used for the concentration process of fruit juices. The concentration process is normally achieved by removing water through evaporation, and by measuring Brix, the evaporation process can be controlled and related to the desired juice concentration. In the pharmaceutical industry, process refractometers are used to monitor and control concentration levels during supersaturation, a critical process in crystallization. Crystallization is key to the purification of solids in pharmaceutical production. A high degree of measurement accuracy and reliability provided by the process refractometer ensures precise monitoring and control and a pure product. There are many other industrial applications for process refractometers, almost all sharing the need for accurate solids content measurement. For more information about process refractometers, contact Electron Machine. Visit them at https://electronmachine.com or call 352-669-3101. 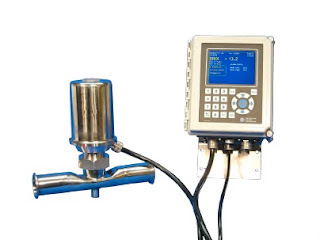 Industrial process refractometers provide safe, reliable, and accurate process measurement for the pulp and paper industry, the food and beverage industry, and the chemical industry. 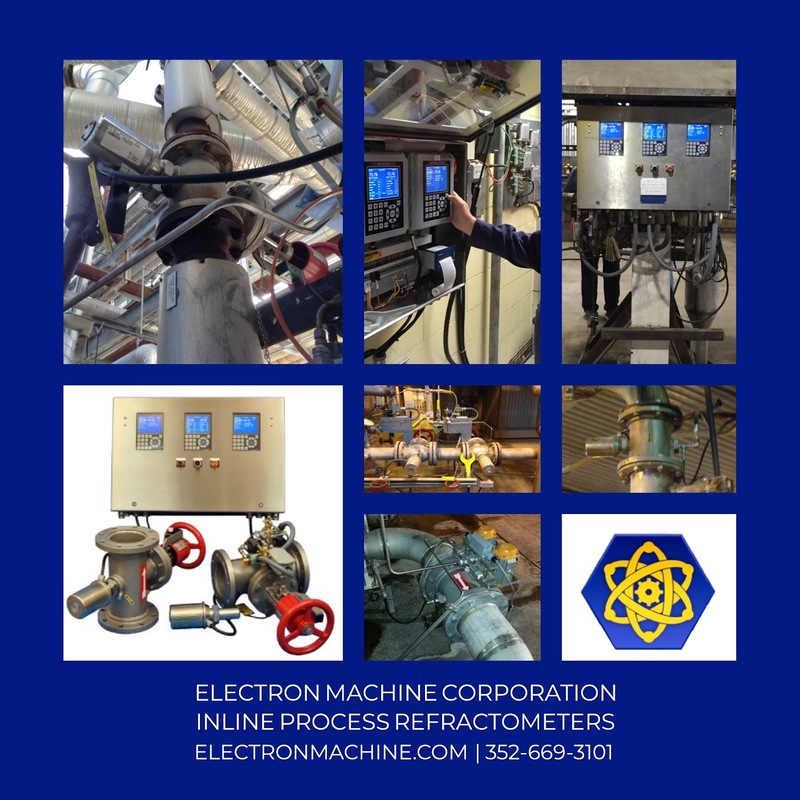 Electron Machine manufactures the world's most rugged refractometers and has thousands of refractometers controlling processes, improving quality, and saving cost in these industries around the world. 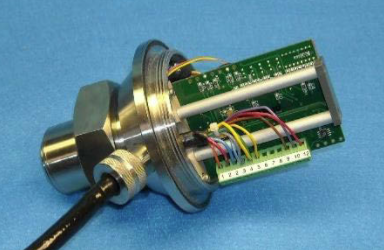 In-line Process refractometer sensor in spool-piece. In-line Process refractometers are used to continuously monitor the concentrations of liquids used in pulp and paper processing, food processing, the beverage industry, chemical processing, the power industry, and primary metal processing. 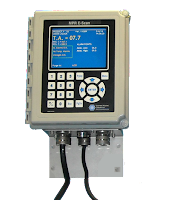 They monitor, report, and control process variables such as Degrees Brix, Percent Solids, Dissolved Solids, SGU, R.I. and deliver an output to external devices such as controllers, recorders, indicators, and PLC's. In-line Process refractometers save labor costs, streamline the manufacturing process, and improve quality by detecting inconsistencies in a product early in the production phase. Process refractometers typically consist of two main components – the sensor, which is inserted to a pipe and is exposed the the product for direct measurement. The sensor is connected by a cable to the second main component, the control module which houses the display, electronics, power supply and output connections. Both the sensor and the control module are designed for high accuracy and precise control. Their housing and cabling are often specialized for use in varying extreme conditions and very demanding environments. The control module includes programming for a wide variety of commonly required features, capabilities, and options that can be adapted to a customer’s requirements. This microprocessor control also allows for custom programming for specialized needs. The sensor can be supplied with a multitude of mounting and cleaning options. Cleaning options include hand cleaning systems, high pressure cleaning systems, and steam cleaning systems. Mounting adapter options include lined adapters, spool-piece adapters, sanitary connection adapters, and weld-in adapters. Not to be confused with their distant relatives - the handheld digital or analog laboratory refractometer - today's rugged, industrial in-line process refractometers provides continuous process management for large-scale facilities giving them the ability to increase product yield, maintain consistency, and eliminate waste. Have Your Old Electron Machine Refractometer Isolation Valve Rebuilt to "Like New"
Send you old Isolation Valve back to Electron Machine to be restored to like new condition! 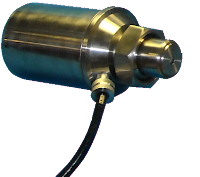 The Electron Machine Isolation Valve is a valve designed to isolate the sensing head from the process media for safe removal. There are many in service all over the world. 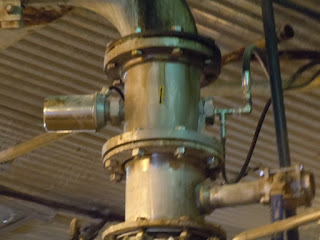 Electron Machine recommends that these valves be repaired/refurbished at least once every ten (10) years. Contact Electron Machine by calling 352-669-3101 or by visiting https://electronmachine.com to set up your return. The Electron Machine Isolation Valve is a custom-manufactured valve designed to force a cup over the sensing head, isolating it from the process media for safe removal. A proximity sensor allows the position of the handle to be monitored to ensure that the sensing head is providing an accurate reading of the process. Originally designed in the 1970s, the Isolation Valve has proven itself in harsh environments and many are installed in tough processes all over the world. 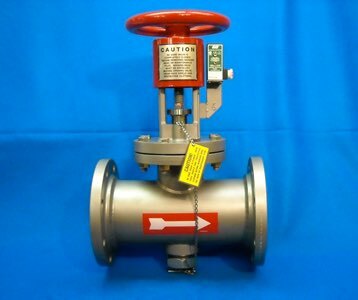 Electron Machine recommends that these valves be repaired/refurbished at least once every ten (10) years. The following 8 minute video is a detailed demonstration of all the steps Electron Machine goes through to give new life to an old isolation valve. A presentation to the Black Liquor Recovery Boiler Advisory Committee (BLRBAC) by C.A. Vossberg, President of Electron Machine Corporation. Download the PDF version of "Applying Refractometers to the On-line Measurement of Green Liquor Density" from this link. sugar content in a solution. Degrees Brix is a measurement unit to determine sugar content, typically in the food and beverage industry using a refractometer. 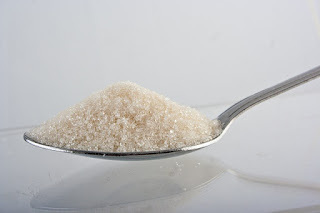 Brix measurements allow precise quality control for sugar levels in different beverages, with one degree Brix equating to 1 gram of sucrose in 100 grams of solution. While sucrose is the primary element measured by the Brix reading, it is important to understand how other ingredients affect the Brix reading. The Brix reading can relatively calculate the amount of sweetener in a certain product in addition to exactly calculating the previously mentioned sucrose level. Sucrose and other sweeteners allow for members of the food and beverage industry to create unique recipes for their products. However, a sucrose solution dissolved in water will return different Brix values than a soda because other elements in the process impact the Brix reading. To account for these shifting variables, a Brix value can be measured through either density or refractive index. Specific control parameters need to be established prior to measuring these solutions with refractometers, thus causing the term “Refractive Brix” to be used when comparing samples against results obtained via different calculation methods. Along with the numerical sugar concentration of a particular product, a product’s sugar concentration correlates to the product’s sweetness, giving controllers the ability to ensure repeatability in their process. Alongside Brix’s main functionality as an indicator of sucrose, high fructose corn syrup (HFCS) has become popular in the food and beverage industry as a replacement for sucrose. Recently, the amount of HFCS in a certain product has also been expressed as Brix, allowing for the Brix degree measurement to expand past its original purpose. Digital refractometers have become increasingly popular in measuring Brix degrees and also the percentage of HFCS in a certain product. These dual measurement possibilities allow operators to compare the content of a certain substance across multiple variables of sweetness. Additionally, the availability of these measurements in a certain process via the same measurement device allows for simplification of the measurement process. Hydrometers are another method used to measure Brix, although, as opposed to refractometers, variations in operator control may cause the results of a hydrometer test to be different. Both Brix and HFCS allow for food and beverage controllers to maintain cost and quality control, both in determining how much sucrose should be used in the process and to ensure each individual product meets quality standards.